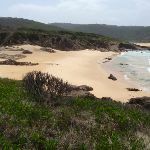 Continue straight: From the intersection, this walk follows the sign ‘Steps to Beach 80m’ down the hill. 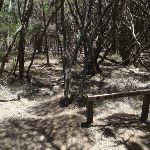 The walk winds down through the melaleuca trees to an unsignposted intersection with a set of stairs. 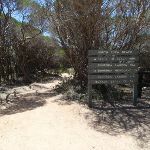 Turn right: From the intersection, this walk follows the stairs down the hill and through the heath and then onto the beach. 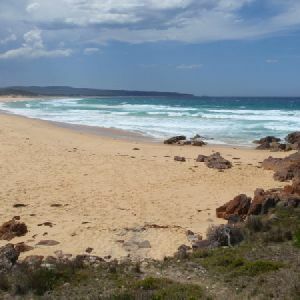 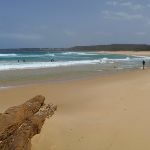 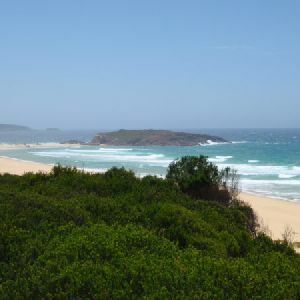 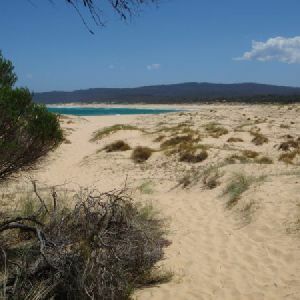 North Tura Beach is located north of Merimbula and Tura Heads. 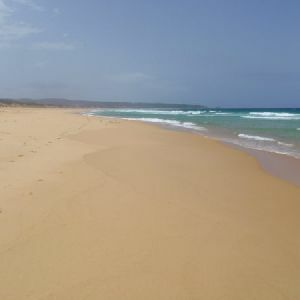 The beach is a beautiful expanse of sand of nearly 2.5km, stretching from Tura Heads to Bournda Island in the north. 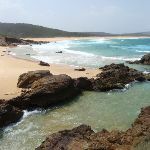 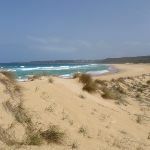 North Tura is an easterly-facing beach which is accessed by Widgeram Rd off the Sapphire Coast Drive. 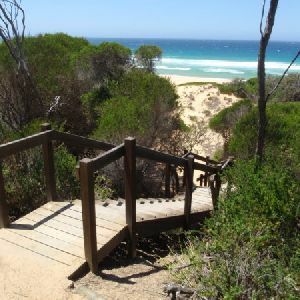 Turn left: From the staircase, this walk heads north along the beach towards Bournda Island, keeping the ocean to the right. 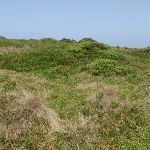 Just before the rocky Bournda Island, there is a small but distinct track on the left through the heath. 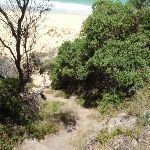 Turn right: From the bottom of the steps, this walk heads away from the stairs and across the beach towards Bournda Island. 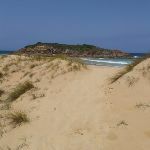 The walk continues along the sand to a small cave feature at the base of the island. 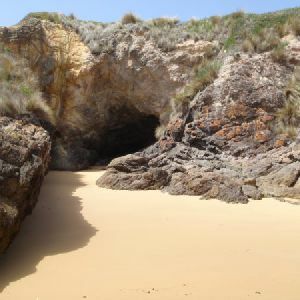 Veer right: From the intersection, the walk keeps the cave feature on the right and climbs up the ridge of rock. 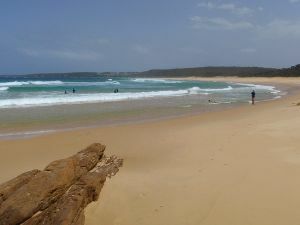 The track winds along the left-hand side of the island, with the ocean below on the left. 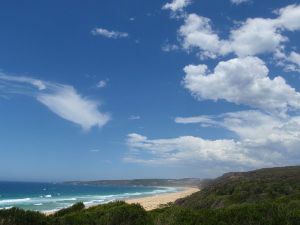 The walk heads up onto the hill with views of both North Tura and Bournda Beaches. 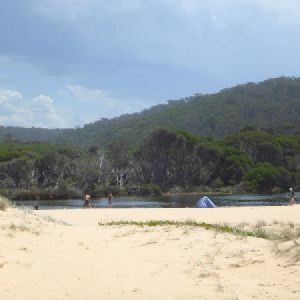 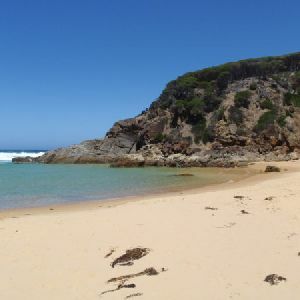 Bournda Island separates Bournda and North Tura beaches, and is located between Tathra and Merimbula. 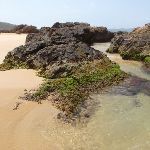 The island is joined to the mainland by a tombola beach, which can be submerged by the tide to form a real island. 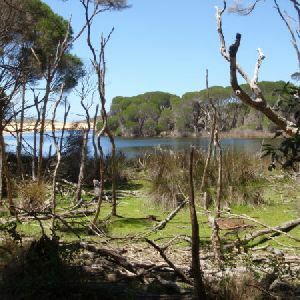 Bournda Island is covered in low dune shrub vegetation species that are perched on top of the rocky island. 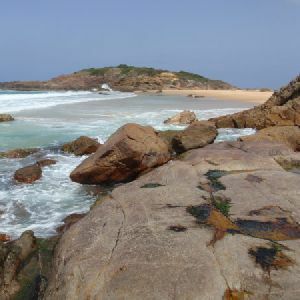 Access to the island is at low tide from Bournda or North Tura beaches. 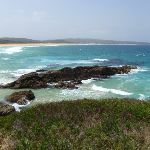 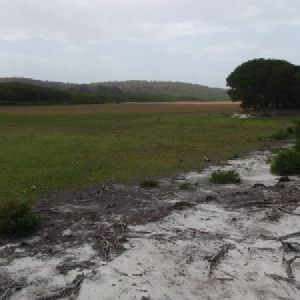 Bournda Island can also be accessed from the Bournda Lagoon via Headland Track. 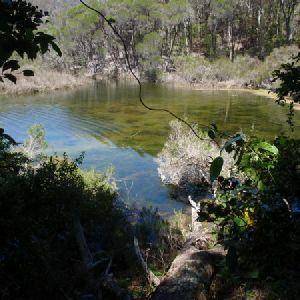 850m of this walk is flat with no steps and another 170m has gentle hills with occasional steps. 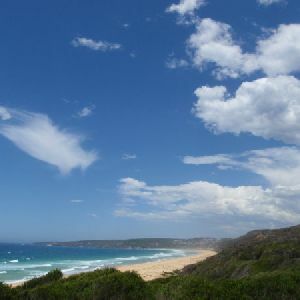 Whilst another 60m has short steep hills and the remaining 55m is very steep. 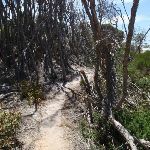 1km of this walk follows a formed track, with some branches and other obstacles and another 55m follows a rough track, where fallen trees and other obstacles are likely. 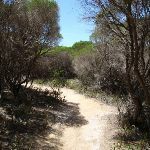 The remaining (30m) follows a clear and well formed track or trail. 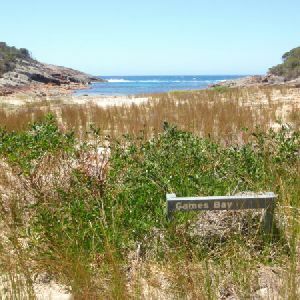 1km of this walk has directional signs at most intersection and another 55m has minimal directional signs. 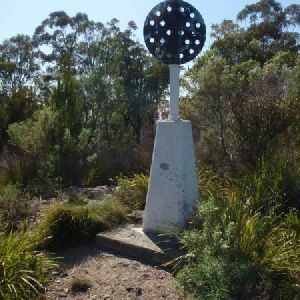 The remaining (30m) is clearly signposted. 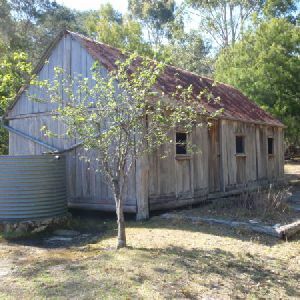 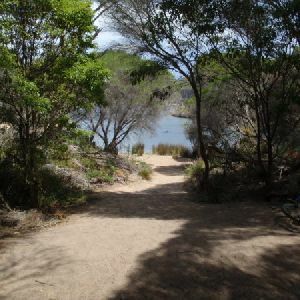 Around 1.1km of this walk requires no previous bushwalking experience, whilst the remaining 55m requires some bushwalking experience. 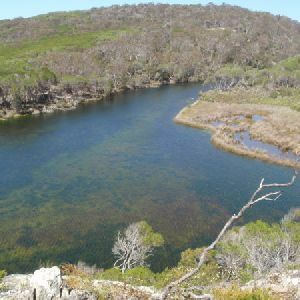 Around 910m of this walk is not usually affected by severe weather events (that would unexpectedly impact safety and navigation), whilst the remaining 220m is affected by storms that may impact your navigation and safety. 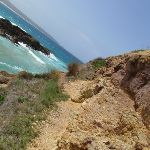 1km of this walk has limited facilities (such as not all cliffs fenced) and another 65m is close to useful facilities (such as fenced cliffs and seats). 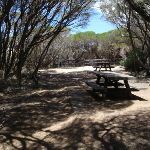 The remaining (55m) has limited facilities (such as cliffs not fenced, significant creeks not bridged). 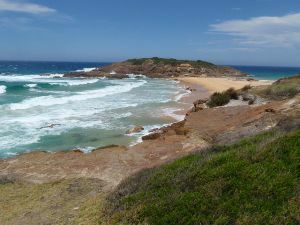 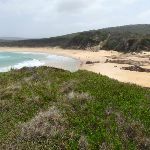 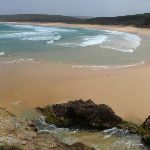 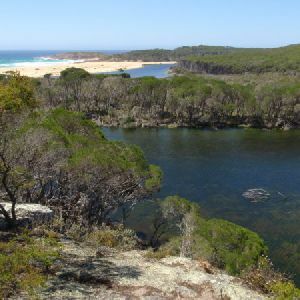 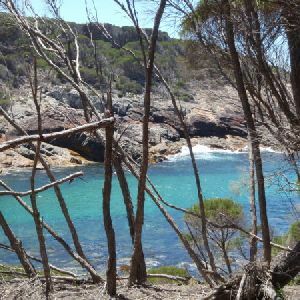 A list of walks that share part of the track with the North Tura car park to Bournda Island walk. 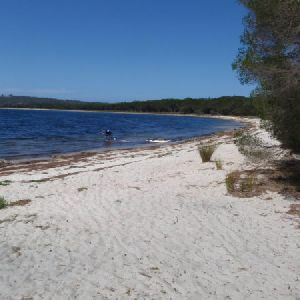 A list of walks that start near the North Tura car park to Bournda Island walk. 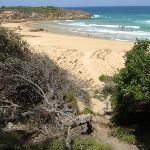 http://new.wildwalks.com/wildwalks_custom/includes/walk_fire_danger.php?walkid=nsw-bourndnp-ntcptbi Each park may have its own fire ban, this rating is only valid for today and is based on information from the RFS Please check the RFS Website for more information.